Destapar el escándalo del Mediator fue una lucha "contra la censura, que se dio de manera brutal e inaceptable", afirmó en rueda de prensa Irène Frachon, autora del libro en el que se basa La fille de Brest. SERVIER no sirve la información debida..
La doctora de Brest(traducción del original y más sutil ‘La hija de Brest’) es una de esas historias del individuo en lucha contra el sistema basada en hechos reales. Su heroína es una médico de provincias, una neumóloga que descubre una conexión directa entre el consumo de un fármaco para adelgazar y tratar la diabetes y problemas de corazón que llevan a la muerte a los pacientes. 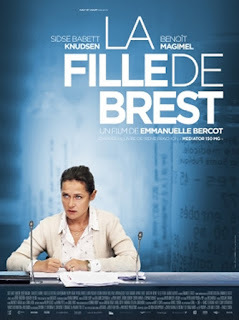 La propia Irène Frachon, la protagonista real, acompañó en San Sebastián a la directora Emmanuelle Bercot y a Sidse Babett Knudsen para explicar su odisea tratando de que fuera retirado del mercado el Mediator, que causó más de 500 muertes y alrededor de 3.500 hospitalizaciones por lesiones en las válvulas cardíacas entre 1976 y 2009 en Francia. El malo de la película, claro está, es un poderoso laboratorio farmacéutico, Servier, que torpedeó la investigación de la doctora Frachon y hasta obligó a retirar de las librerías un libro con el resultado del estudio. 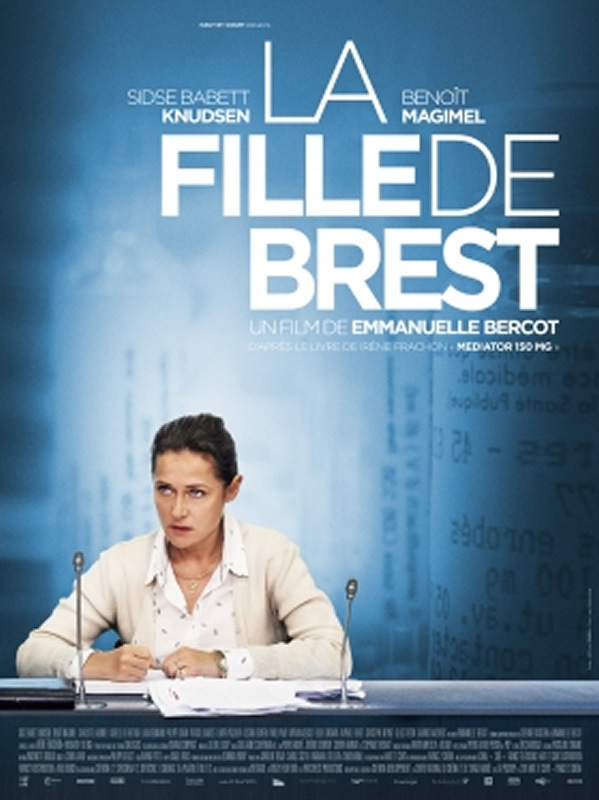 ‘La doctora de Brest’ es una cinta bienintencionada, que se sigue con interés pero que rezuma un tufillo televisivo. 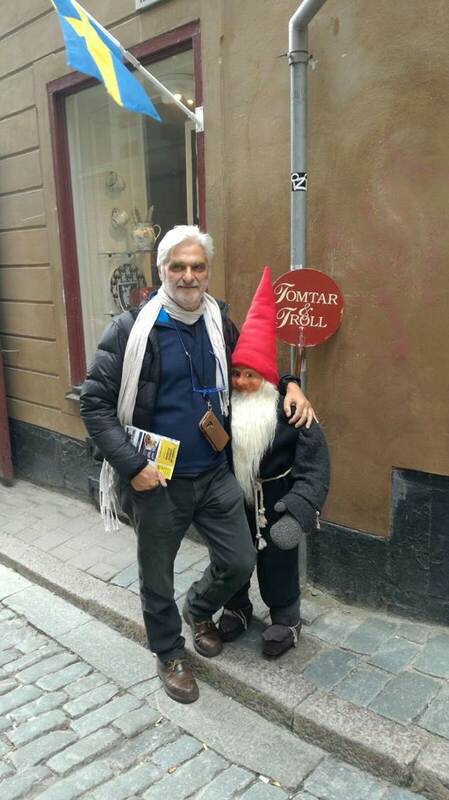 Ni siquiera la interpretación pelín histriónica de Babett Knuden logra dotar de empaque un filme que ya tiene distribución española. El honor de inaugurar un festival de la categoría de San Sebastián obedece a otras razones. A saber, el año de la capitalidad europea no se podía arrancar con una americanada. Al menos, el filme ofreció una insólita estampa en la mesa de la rueda de prensa, donde todas sus componentes eran mujeres. 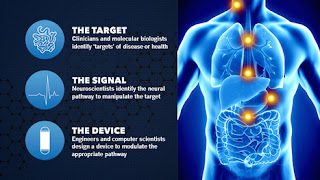 Frachon contó que en España el Mediator se comercializó bajo el nombre de Modulator y que fue retirado del mercado en 2003 cuando algunos médicos vieron que era veneno. El laboratorio alegó que su retirada obedecía a motivos económicos porque no era rentable. En Francia no se dejó de vender hasta 2009. «He sufrido una censura inaceptable en mi país por dar testimonio de un crimen industrial», contó la doctora real, a la que la Justicia acabó dando la razón. La agencia nacional de medicamentos y los laboratorios humillaron a esta brava bretona por ser mujer y médico de provincias. De religión protestante, con la cruz de los hugonotes al cuello, Irène Frachon se enorgullece de que sus padres la criaran siendo fiel a principios cristianos. «No tener miedo, hacer ver a los demás que no están solos e interesarse por los que sufren, sobre todo si eres médico». Tratar con pacientes le hizo dar un paso adelante y jugarse su carrera. «No tenía ante mí a enfermos, sino a personas que habían sido envenenadas hasta morir». "Estoy muy contenta de que el filme haya reflejado esta censura" y la manera como logró superarla, señaló Frachon, quien asistió al festival junto a la directora Bercot y la actriz que protagoniza su papel en la película, la danesa Sidse Babett Knudsen. El medicamento Mediator, utilizado indebidamente durante 30 años para adelgazar, causa lesiones en el corazón y podría ser responsable a largo plazo de 2 mil 100 muertes solo en Francia, según un peritaje judicial. "La eficiente Patro, conocedora como nadie de cómo se las gastaba el señorito cuando estaba solo, había dejado a la vista dos Optalidones y un vaso de naranjada". "...acerca de jugadores que se administraban sustancias para mejorar su rendimiento. Las más frecuentes en aquella época eran la centramina, la simpatina y el Optalidón de entonces, productos que darían positivo en un control hoy en día". De supositorios de Optalidón y..."Una tarde de feria con Umbral"
Aralez Pharmaceuticals Inc. , a global specialty pharmaceutical company, announced that the U.S. Food and Drug Administration (FDA) has approved once-daily YOSPRALA™, the only prescription fixed-dose combination of aspirin, an anti-platelet agent, and omeprazole, a proton pump inhibitor (PPI) in the U.S.
YOSPRALA is indicated for patients who require aspirin for secondary prevention of cardiovascular (CV) and cerebrovascular events and who are at risk of developing aspirin associated gastric ulcers. 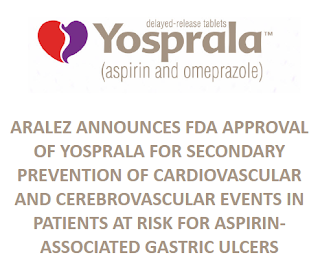 The Company is expanding its U.S. sales force by 85 representatives in September to a total of 110 high quality sales representatives and plans to begin the U.S. promotional launch of YOSPRALA the first week in October. Brisbane-based venture-stage biopharmaceutical company Tioma Therapeutics has announced it has raised $86 million in Series A venture financing for its development of anti-CD47 antibodies, including advanced proof-of-concept human trials for its lead drug candidate, an anti-CD47 immune checkpoint inhibitor. 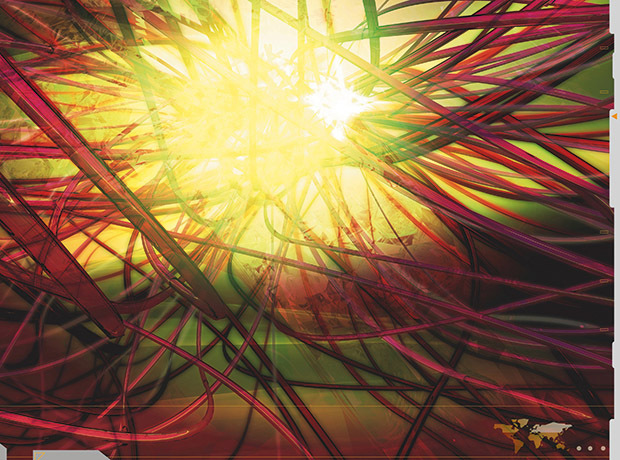 CD47 is a protein which has been found to play a key role in immune and angiogenic responses. 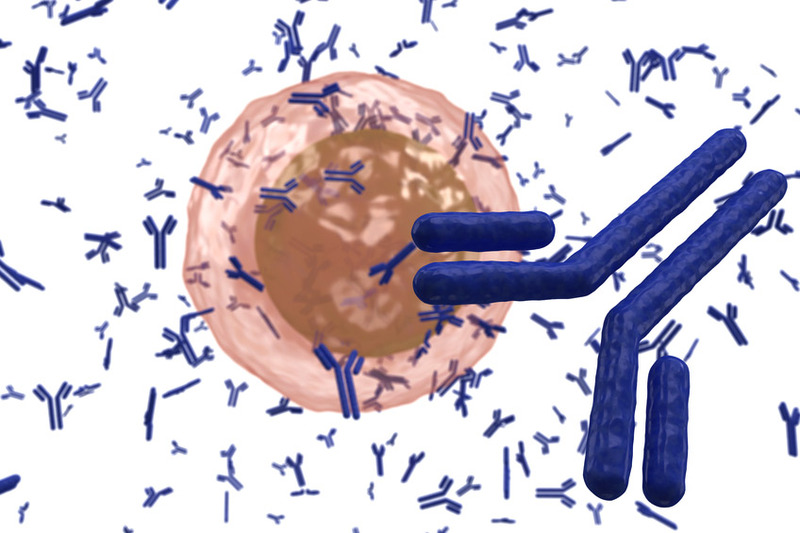 Anti-CD47 antibody treatment enables macrophage phagocytosis of cancer and can also foster the activation of cancer-specific lymphocytes, initiating an antitumor T-cell immune response. 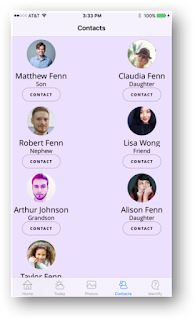 The startup has been backed by a number of big players in the industry: the company’s financing was co-led by RiverVest Venture Partners and venture divisions of major pharma firms Novo Nordisk, Roche and GSK. "We find CD47 to be an extremely interesting target in the evolving cancer immunotherapy landscape," said Peter Moldt, partner at Novo Ventures. "We believe Tioma Therapeutics, with its portfolio of diverse, functionally heterogeneous antibodies, is well positioned to test the CD47 hypothesis in the clinic." John Donovan, a co-founder of Alios, an acquisition by Johnson & Johnson, has become the company’s new president, CEO and member of the board of directors. "We're pleased by the degree of investor interest in this financing and thrilled to have enabled the advancement of our therapeutic antibodies well into clinical development," stated Donovan. 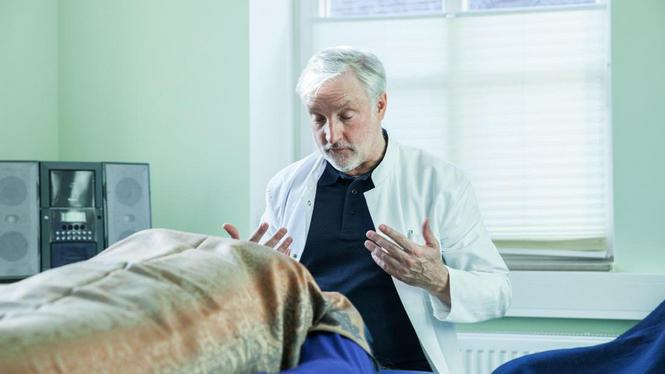 The deaths of three patients at an alternative medicine clinic in Germany have prompted suspicion of a clinically untested cancer drug used by nonmedical practitioner Klauss Ross for treatment at the facility. 3-Bromopyruvate (3BP) has been hailed by some researchers as a potential breakthrough in cancer treatment, but there is no concrete clinical human trial data to support these claims beyond anecdotal evidence. 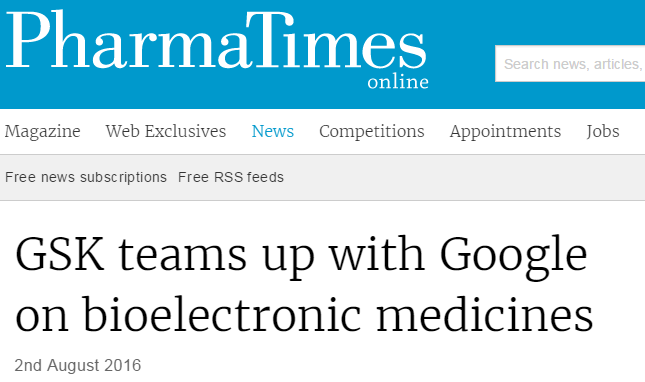 Scientists have stated that the drug should not be administered to any patients except in carefully controlled experimental conditions. German police took action on 4 August after two patients from the Netherlands and one from Belgium died following treatment at the Biological Cancer Centre in Brüggen, Germany. Police from each region have urged other patients treated at the centre to contact local health authorities, with at least 26 doing so. 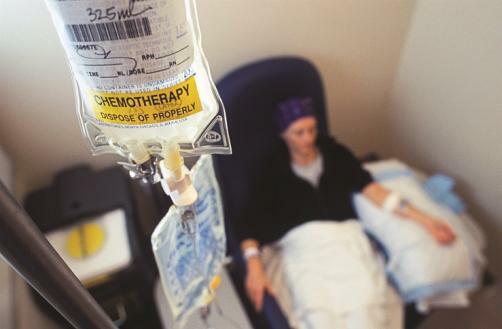 The centre offered a 10-week ‘basic therapy’ treatment against cancer for €9900, which patients reportedly viewed as a last resort after running out of conventional options or to avoid aggressive chemotherapy. 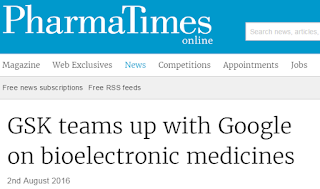 The centre’s website called 3BP “currently the best compound to treat tumors.” Ross himself is ‘in shock’ according to a statement he made on his website, and regrets the media’s assertion that alternative medicine may be responsible. 3BP is claimed to ‘starve’ tumour cells by inhibiting glycolysis, the breakdown of glucose molecules to provide cells with energy, specifically kills certain cancer cells while leaving normal cells alone. It was reported to reduce or even reverse tumour growth in rats and mice, but the same studies also showed a clear toxicity with certain administration regimes. 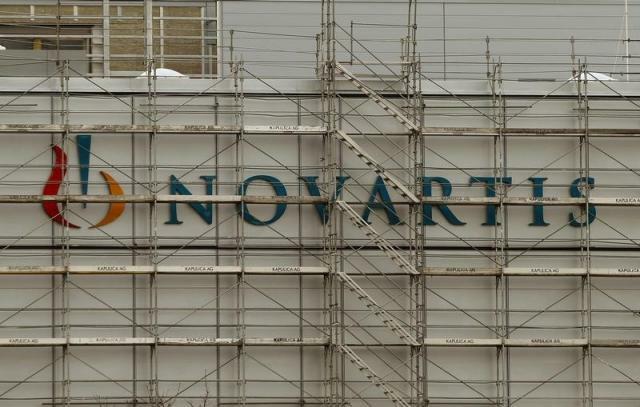 Novartis cannot rule out selling its Alcon eye care and surgery equipment division, its chief lawyer said on Thursday, helping fan speculation the Swiss drug company could offload a business that has been struggling to revitalize sales. General Counsel Felix Ehrat told a mergers and acquisitions conference in Zurich that Alcon's position as a leading surgical instruments maker fits Novartis's overall strategy of focusing on divisions which are among the largest players in their respective sectors. 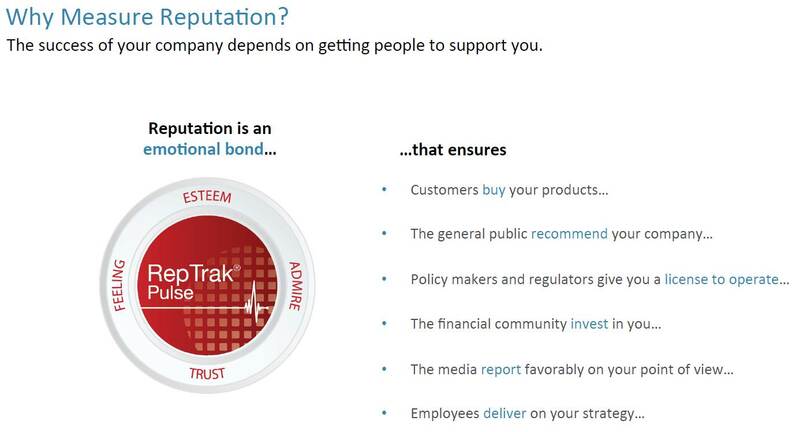 However, pressed on whether Novartis would rule out the prospect of an Alcon sale, Ehrat said at the conference organized by Swiss newspaper Finanz und Wirtschaft that such a pledge "wouldn't be clever". "Never say never," he added. Early this year Novartis Chief Executive Joe Jimenez replaced Alcon's chief executive following successive quarters of falling sales, attributing the poor performance to a lack of innovative new products and waning customer focus. The division's new boss Michael Ball is concentrating on top-line growth at the expense of profitability as he seeks to reinvigorate sales by year's end. But Alcon's poor performance and status as a device maker following the move this year of its ophthalmic drugs business into Novartis's main pharmaceuticals division, has fueled talk it is on the disposal block, especially if Ball's turnaround effort fails. "Alcon will either be fixed or sold," David Evans, an analyst at Kepler Cheuvreux, wrote in a recent note to investors. Sales have been in decline since 2014 at Alcon, which the Swiss drugmaker gradually bought up from food maker Nestle in a series of deals totaling $51 billion, with the final portion acquired at the end of 2015. Last year sales at Alcon fell 9 percent to $9.8 billion, including $3.8 billion from the drugs business which has since been moved out of the division. Novartis had sought to integrate the unit and its U.S.-centric culture - Alcon is based in Fort Worth, Texas - into the rest of the company, Ehrat said on Thursday, but a business model vastly different from the patent-protected world of drugs may have hampered the effort. Pfizer is realigning its manufacturing capabilities as part of a billion dollar plan that could see the company split next year. 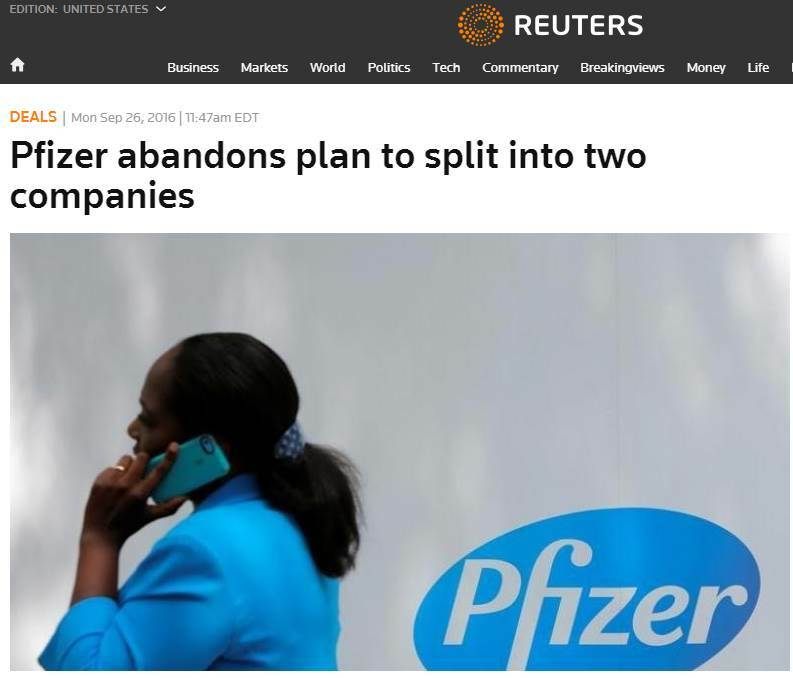 U.S. drugmaker Pfizer Inc, which has been considering a split into two companies for more than two years, said on Monday it would not do so because the move would not create any shareholder value. 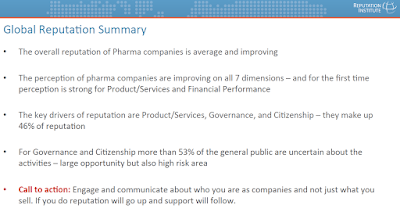 Pfizer said a split would not boost cash flow or better position the businesses competitively. It would also disrupt operations, have inherent costs and fail to deliver any tax efficiencies, the company said. 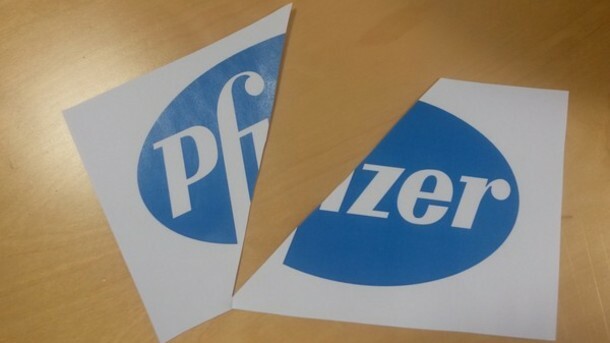 Pfizer will keep its low-growth generics and patent-protected branded medicines separate, giving it the option to split later if "factors materially change at some point in the future." Pfizer said the decision would not affect its 2016 financial forecast. Its shares fell 1.5 percent to $33.75 in morning trading, amid a 1 percent decline in the ARCA Pharmaceutical Index of large drugmakers .DRG. 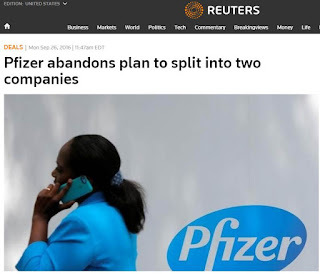 The move follows the collapse of Pfizer's planned $160 billion acquisition of Irish drugmaker Allergan Inc (AGN.N) after a change in U.S. law negated the tax benefits for companies moving corporate headquarters to overseas locales through acquisitions. Investors were expecting the company to step back from the split, Sanford Bernstein analyst Tim Anderson said in a research note. Humor (?) canalla...es lunes: Maduro y VIAGRA. Venezuela sufre la mayor inflación del planeta (por encima del 500% la interanual) que unida a la escasez y desabastecimiento de alimentos ha provocado que la dieta de los venezolanos se haya recortado y empobrecido. Según una investigación realizada por la firma More Consulting, divulgada por la Asamblea opositora, casi la mitad de la población se alimenta mal, incluso el 53.9% confiesa haberse acostado con hambre por falta de alimentos. Casi el 80% de los consultados sólo comen una o dos veces al día. La pérdida de kilos es evidente y objeto de comentarios constantes en las calles. 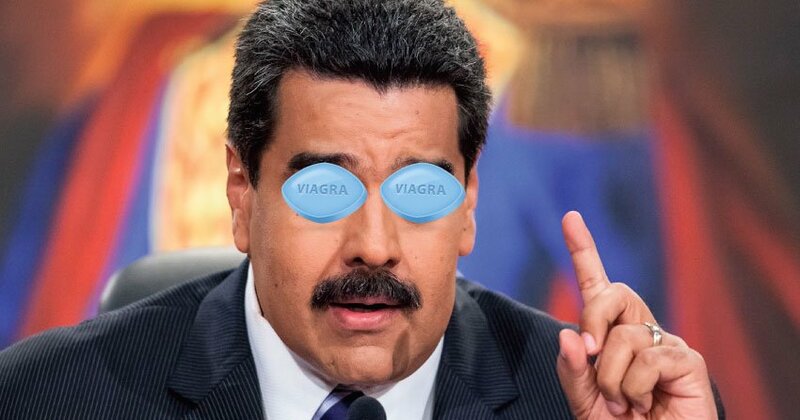 De ahí viene la generalización del término: "la dieta de Maduro"." "¿Te parece chistoso Nicolás Maduro lo de la dieta de Maduro? ¡Miles de venezolanos pasan hambre! ¡Comen de la basura! ¡Vas pafuera! Revocatorio ya", clamó el gobernador Henrique Capriles. 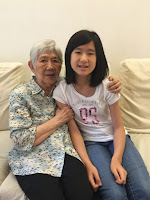 Hay historias que cuando uno las conoce le dejan sin aliento Es el caso de la que protagoniza Emma Yang, una niña de 12 años que ha creado una aplicación llamada Timeless para que su abuela, que padece alzheimer, se acuerde de ella. 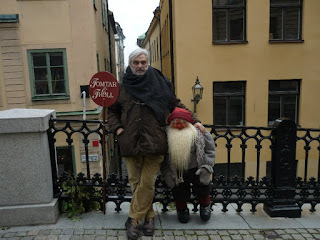 La anciana muchas veces no la reconoce , y eso es lo que la impulsó a idear un método para subsanar tal deficiencia en la medida de lo posible. La aplicación pretende ayudar a las personas que padecen esta enfermedad a reconocer caras anteriormente conocidas, informarles de si están llamando a alguien con el que se han puesto en contacto hace cinco minutos o, simplemente, recordar datos tan simples como la hora o la agenda de tareas. Debido a la patología que sufre su abuela, Emma ha pasado momentos bastantes difíciles, agudizados sobre todo por la distancia: ella reside en Nueva York, mientras que su abuela vive en Hong Kong. Timeless es la primera aplicación diseñada específicamente para los pacientes de alzheimer. Para su diseño, la niña habló con un buen número de ancianos que padecían esta patología y poder así conocer sus necesidades. La aplicación cuenta, entre otras cosas, con un algoritmo de reconocimiento facial que puede asignar nombres y relaciones con fotografías de sus seres queridos. También tiene una sección de actualidad donde se puede consultar la hora, la fecha, el tiempo y los eventos que figuran en una lista general. ”El concepto de mi idea es que podemos permitir usar la tecnología para hacer cosas buenas como el reconocimiento facial y utilizarla para resolver problemas que no podemos resolver nosotros mismos “, declaró Emma en Tech 50+. “El potencial de la tecnología para poder ayudar a mi abuela y a otras personas que sufren de alzheimer es lo que me inspiró para crear Timeless, porque a pesar de las dificultades de la enfermedad, los pacientes de alzheimer también deben ser capaces de apreciar los momentos sin tiempo en vida”, agregó la pequeña. CE Week 10 Under 20 - Timeless App Demo from eaa.family on Vimeo. 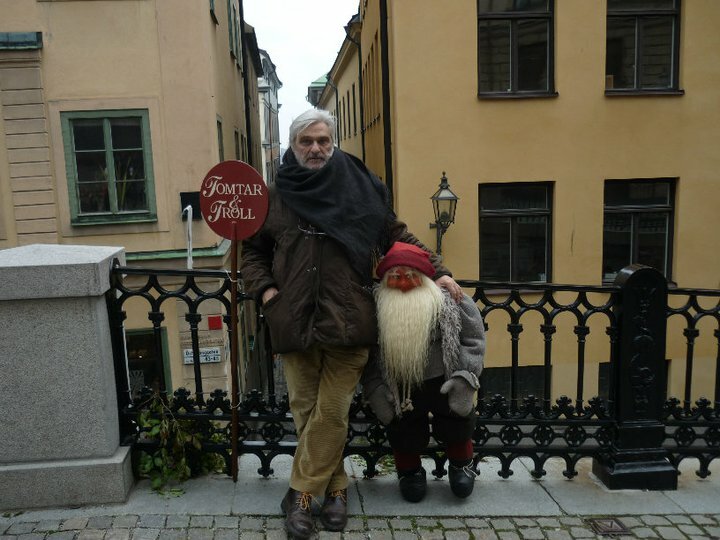 Y, al llegar de nuevo a Stockholm mi amigo el troll seguía allí. 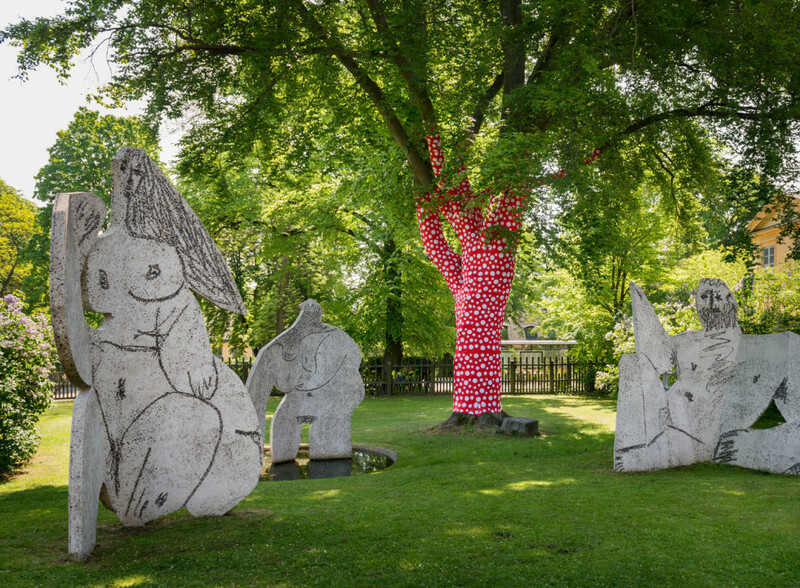 In her autobiography, Yayoi Kusama writes that she had hallucinations even as a child. 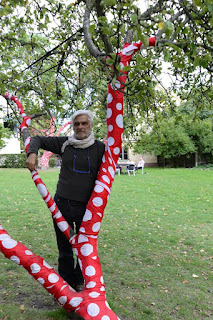 She has said that these experiences made her feel like she was "returned to infinity, to eternal time and absolute space".In these hallucinations, the polka dots appeared that are so characteristic of Kusama´s oeuvre. These polka dots gradually spread to entire rooms and eventually into landscapes. 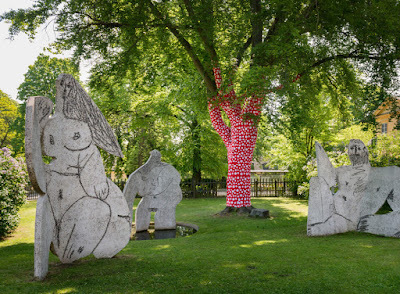 In recent decades, she has used the polka dots in installations in urban spaces all over the world. 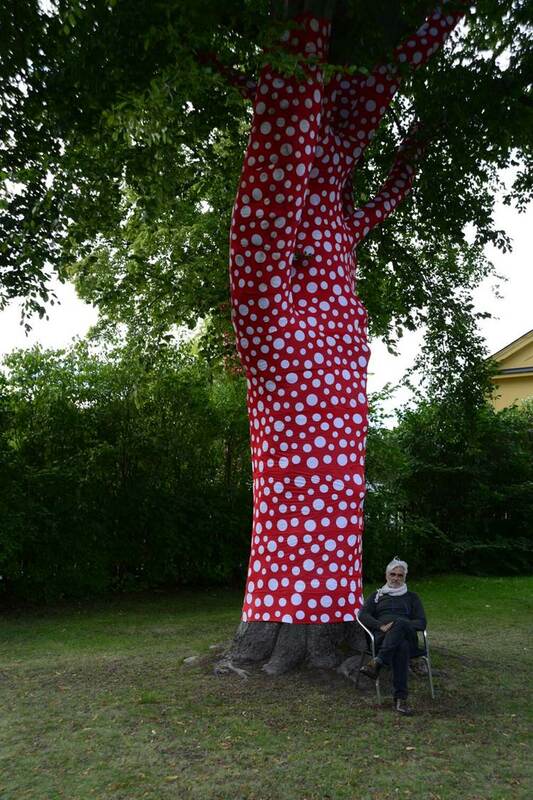 Wen Kusama´s art includes trees and nature, the poetic ans psychedelic elements in her infinity vision blends with nature´s own mystery. Ascension of Polka Dots on the trees is a work she has previously installed in several cities. 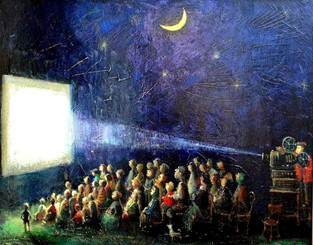 Se estrenó en la 52 edición del FICX de Gijón, en donde ganó los premios de Mejor Cortometraje y Premio del Público en el Día de Asturias. 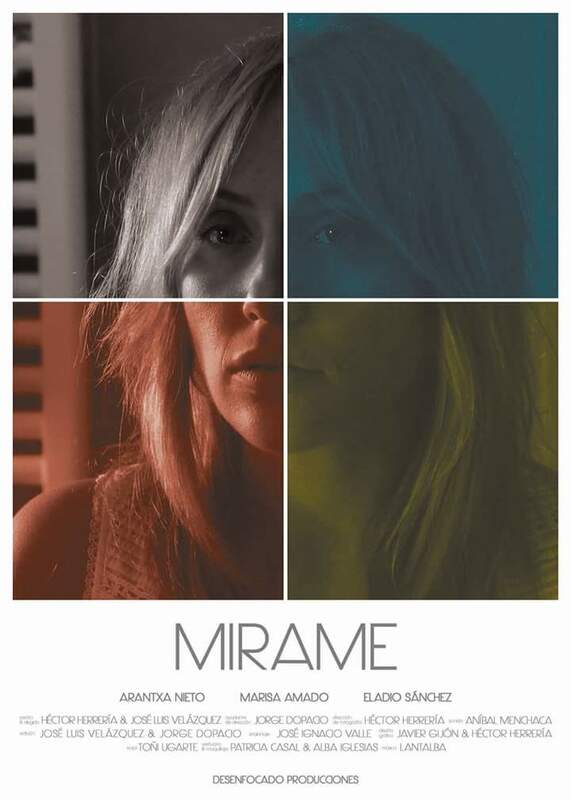 A día de hoy, el corto tiene 3 galardones más: Mejor Corto de ficción en el II Certamen de Proaza y Santo Adriano, Mejor Cortometraje en el II Festival Nacional Vía de la Plata de Extremadura, y Premio del público en el VI Festival Internacional de cortometrajes Piélagos en Corto (Cantabria). 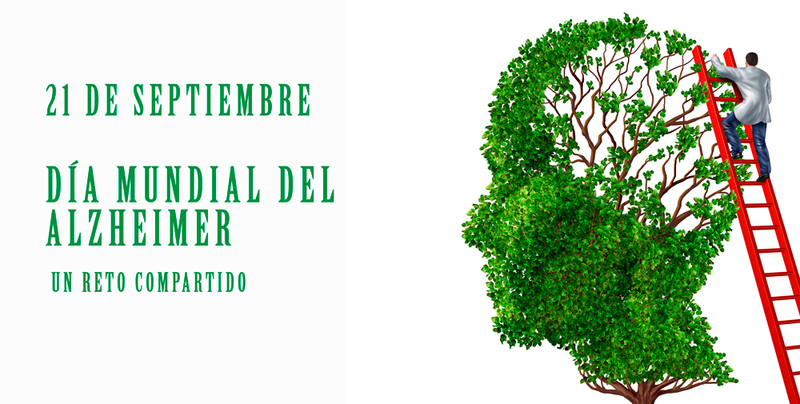 En esta semana que conmemoramos el Dia Mundial del Alzheimer. 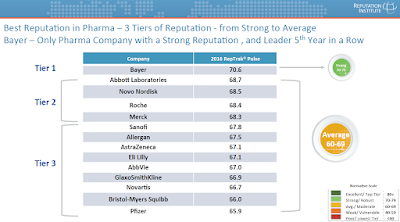 Emma Walmsley to be the only woman leading a top-25 drugmaker. GlaxoSmithKline Plc’s new chief executive looks a lot like other bosses at large pharmaceutical companies: a graduate of Oxford, white, with worldwide experience managing thousands of employees. There is, though, one big difference: She’s not a man. Emma Walmsley will lead the British drugmaker starting in March, breaking the gender barrier at the world’s top 25 drugmakers and highlighting the dearth of female leadership among Europe’s biggest companies. "I´ve never primarily defined myself by my gender" Walmsley said in a video posted on Glaxo’s website Tuesday after announcing her appointment. “I’ve been lucky enough to always work for companies or in countries where being female hasn’t limited or restricted me.” Walmsley, a 47-year-old mother of four, made what she described as “a bungee jump” to Glaxo from cosmetics giant L’Oreal SA in 2010 following a meeting with CEO Andrew Witty, who will retire in March. Big pharma hasn’t been a trailblazer in promoting women. It’s behind the technology and consumer sectors though it’s better than -- or at least no worse than -- the finance and energy industries. Women captured less than 3 percent of new CEO positions globally last year, the worst showing since 2011, according to a PwC study of 2,500 global public companies. 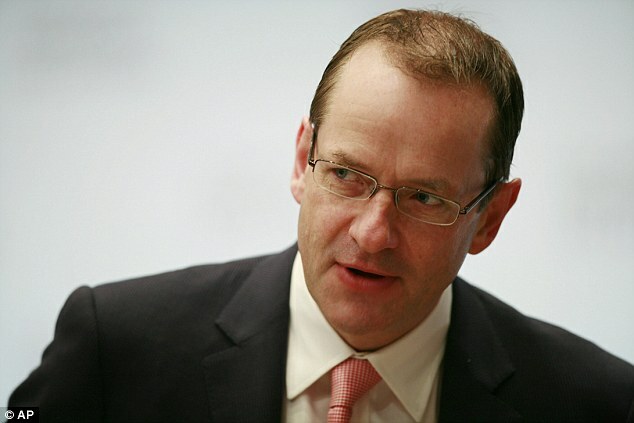 Walmsley is one of two women on Glaxo’s top executive team, according to the company’s website. 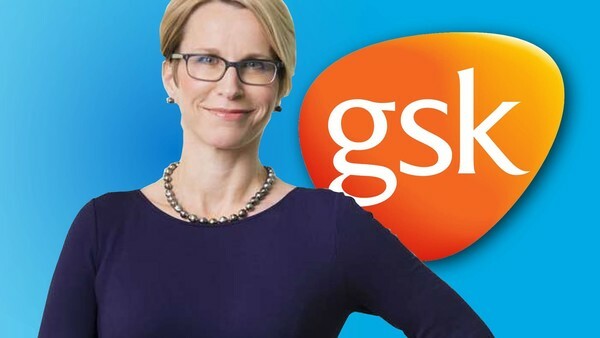 She will join the board on Jan. 1 and take the helm of the London-based company on March 31, Glaxo said in a statement on Tuesday. At L’Oreal, she held positions in the U.S. and Europe, and had been in China for three years when she had her 2010 meeting with Witty. La Sociedad Española de Pediatría Extrahospitalaria y Atención Primaria (Sepeap) cobra dinero de Danone a cambio de que receten a sus pacientes Actimel, un producto atizado por prácticamente todas las asociaciones de usuarios a nivel mundial por engañar con su publicidad. Según ha podido saber OKDIARIO, en el sistema sanitario público, parte del horario laboral de los facultativos se dedica a recibir a visitantes de laboratorios o de empresas alimenticias. 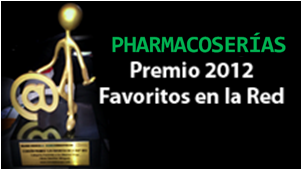 Es decir, que estamos pagando de nuestro bolsillo, de nuestros impuestos, horarios en el que un comercial está intentando convencer a un médico de que recete y recomiende sus productos, que en este caso no son ni siquiera productos médicos. La sociedad médica, de este modo, se dedica a avalar productos previo pago, con lo que pierde credibilidad el aval cuando trasciende públicamente que esto es así, y además, no debería permitirse que una sociedad médica avalase productos. Sin embargo, lo cierto es que la Ley no es clara al respecto, aunque según Facua, debería prohibirlo taxativamente. “No nos parece ético mercantilizar esta función”, señala la asociación a OKDIARIO. “Los usuarios se creen que el producto es maravilloso ya que lo recomiendan los médicos. Pero, el hecho de que se haya pagado para que los médicos lo recomienden, es éticamente dudoso. ¿Es Danone la mejor, o es la que paga?”, señala Rubén Sánchez, portavoz de Facua. 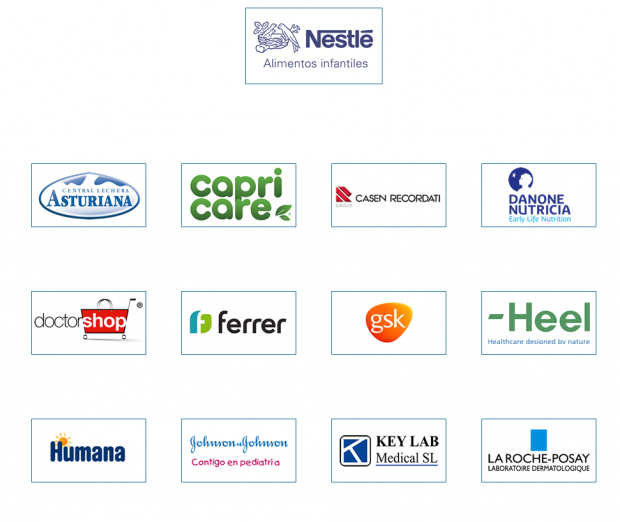 Tanto es así que, de hecho, Danone ha sido multada en Estados Unidos por anunciar tanto en sus envases, como en sus folletos, como en televisión, que Actimel mejora las defensas, algo que ha sido desmentido por muchas asociaciones. La compañía tuvo que aceptar el pago de 21 millones de dólares tras reconocer que había exagerado las cualidades tanto de Actimel como de los yogures Activia, dos productos que acumulan un 25% de la facturación total de la multinacional. La Agencia Europea de Seguridad Alimentaria (EFSA) también tumbó a Danone al asegurar que Actimel “no mejora las defensas”, tal y como anuncian. De este modo, EFSA elaboró un informe en 2010 en el que se concluía que el producto no era tal y como se publicitaban. 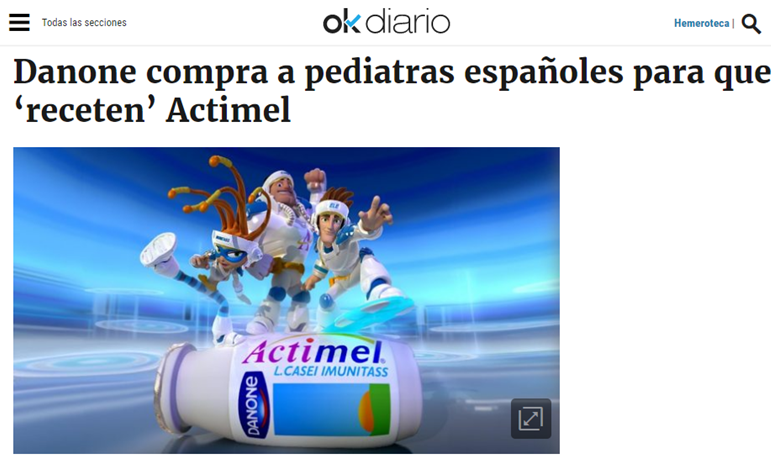 Y eso no es todo, Actimel fue denominado por Foodwatch, una asociación alimentaria alemana, como el producto con mayor publicidad engañosa; mientras que ASA, un organismo británico que se dedica a dar veracidad a la publicidad, obligó a Danone a retirar otro anuncio en el que también anunciaban un aumento en las defensas. Desde Facua, además, su portavoz, Rubén Sánchez, señala que el Actimel no es más que un simple yogurt líquido sin ninguna propiedad distinta a la del resto de lácteos, pero con un precio bastante más elevado. DANONE ahora "contra_ataca" con la salud digestiva...(en su día). Desde la Sociedad Española de Pediatría Extrahospitalaria y Atención Primaria (Sepeap) han emitido un comunicado en su página Web, al que sólo pueden acceder sus socios, en el que admiten que existe contraprestación económica, pero en el que se defienden diciendo que “no se trata de una prescripción ni de publicidad por parte de la Sepeap, sólo de “un aval a un producto tras analizarlo. Lo recomendamos dentro de una dieta equilibrada”. La sociedad añade en su cuenta de twitter: “No creo que debamos dar cuentas más que a nuestros socios. Los acuerdos son privados. Nos pagan por emplear nuestro nombre en su publicidad y por analizar la fórmula de sus productos. Cobramos por analizar una reformulación de un producto, porque utilizan nuestro nombre en su publicidad”. Además, según fuentes de la Sepeap, fue la empresa de alimentación la que se puso en contacto con la sociedad: “Reformularon el producto y querían que lo analizáramos. Lo hicimos, incluía menos azúcar y se trata de un producto lácteo, así que decidimos avalarlo”. 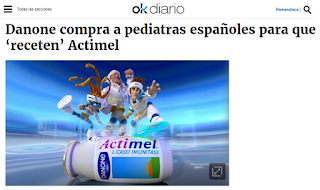 "Comentario de Textos" (perdón...de posicionamiento): ACTIMEL / Marketing a "tuta orchestra..."
Novartis is getting closer to unloading its $14 billion stake in crosstown rival Roche. According to a report this week in the Zurich newspaper Handelszeitung, big investors have been shopping the sale, and bankers could assemble enough buyers within a few weeks. Novartis this spring suggested that it planned to cash out its Roche stake to help fund M&A. It’s not necessarily expecting a premium price, CEO Joe Jimenez said in May, which should make the shares easier to move. The idea is to transfer the Roche shares in a block. 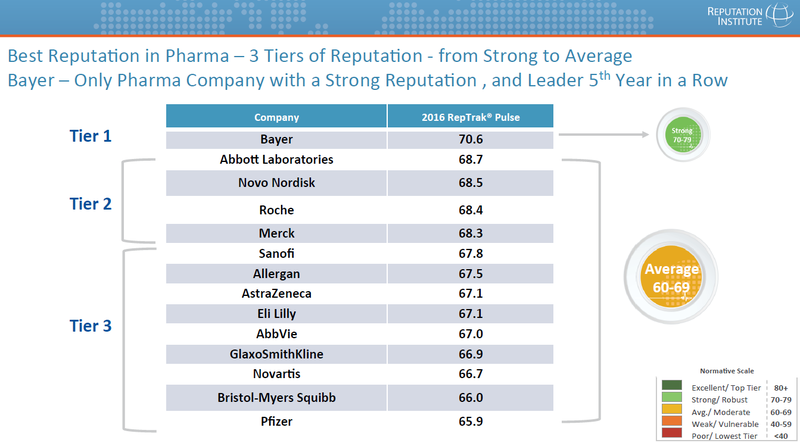 Novartis’ stake amounts to one-third of the company--and an even larger share of Roche’s floating stock, what with the Roche’s large family ownership. 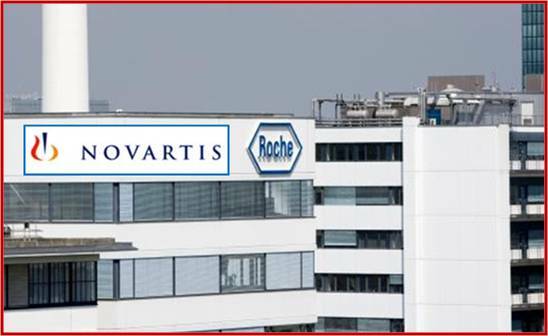 One of Handelszeitung’s investment banking sources estimated the current liquidity in Roche shares at 1 billion Swiss francs, which is a fraction of the value of Novartis’ shares. 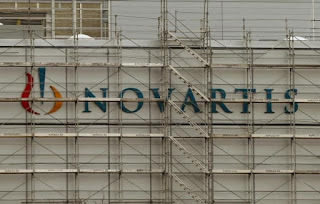 Handelszeitung sources said Novartis might line up its buyers and then trigger the sale in advance of a planned acquisition. The Swiss drugmaker has been earning handsome dividends on its Roche shares, at $429 million in 2015 and $473 million the previous year. Using the stake sale to fund a deal “is distinctly possible” for Novartis, Bernstein analyst Tim Anderson said in April when the sale news broke. The company “is in a time of need, having had setbacks with both Alcon and Entresto, and investor sentiment is languishing,” the analyst said. Earlier this year, dragged down by Alcon sales and stymied by the slow launch of its would-be heart failure blockbuster Entresto, Novartis restructured the eye care unit and brought in former Hospira chief F. Michael Ball to run it. It also rolled out a cost-cutting plan that would centralize some R&D functions and streamline manufacturing. 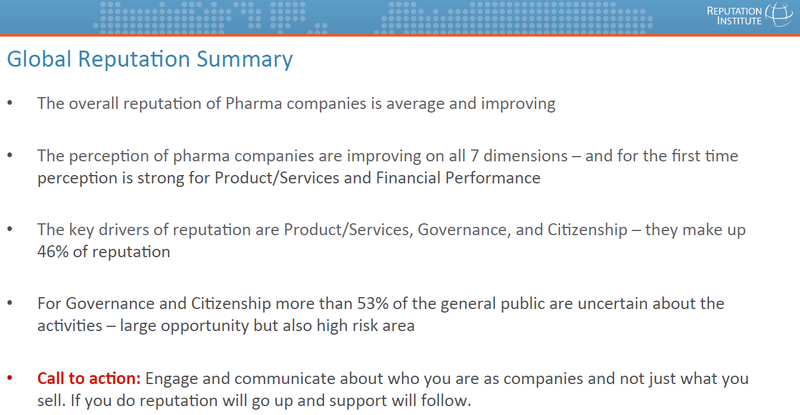 A few months later, pharma chief David Epstein left as Novartis split its prescription drugs business in two. 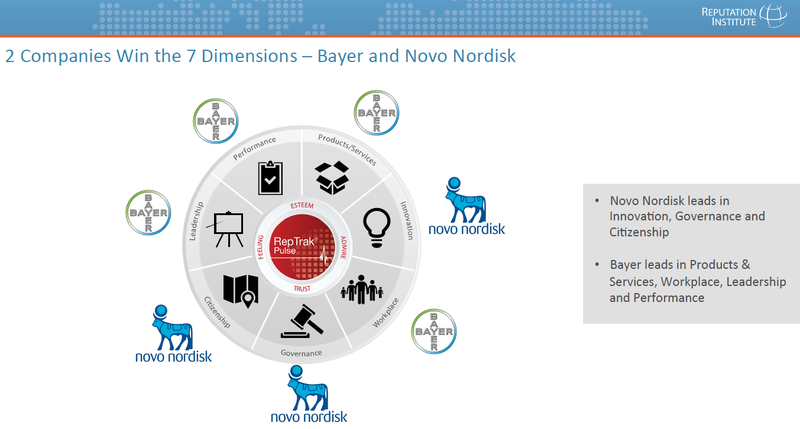 One division now focuses on oncology--including the cancer portfolio the company acquired from GlaxoSmithKline last year--and the other on the rest of the company’s branded portfolio. 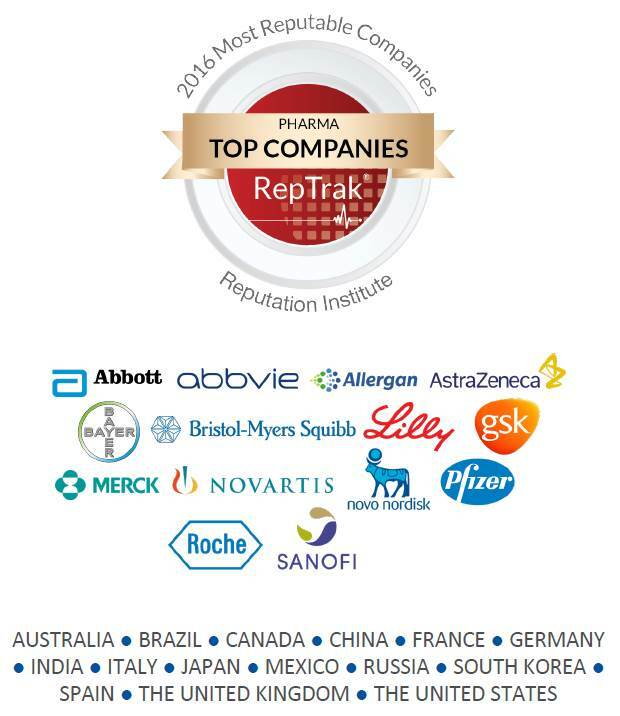 The company is now working to get Entresto’s sales on track and launching biosimilars through its Sandoz unit. Novartis built up its Roche stake between 2001 and 2003 under CEO Daniel Vasella. For years, Vasella refused to consider selling the shares, and speculation that Novartis might try a takeover occasionally surfaced. After Vasella’s departure, the sale question arose again; Joerg Reinhardt, who replaced him as chairman in 2015, promised to review all of Novartis’ assets for potential sale. 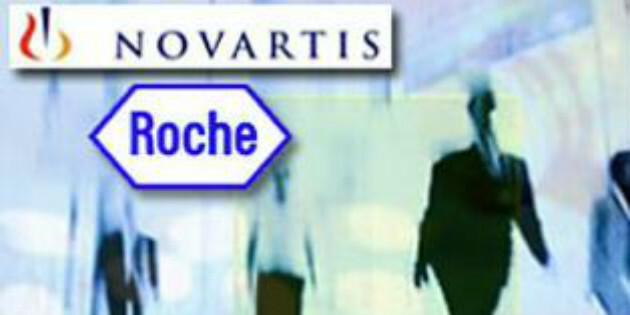 NOVARTIS / Reinhardt descarta "merger" con Roche. Now, major investors have been asked to submit information on the volume of shares they’d like to buy and the prices they’d pay. Investment bankers running the sale would then evaluate the offers and allocate the shares, the newspaper says. Roche might have a say in the choice, too; Reuters reported in April that Novartis wanted to assemble institutional buyers to ensure that they’d be acceptable to its fellow Swiss drugmaker. Novartis has considered a few other sale options in the past, including handing out the Roche shares as a dividend to its own shareholders. 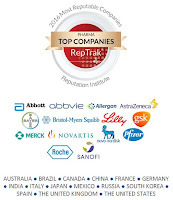 Novartis also weighed swapping its shares back to Roche, but Roche has repeatedly indicated that it’s not interested.